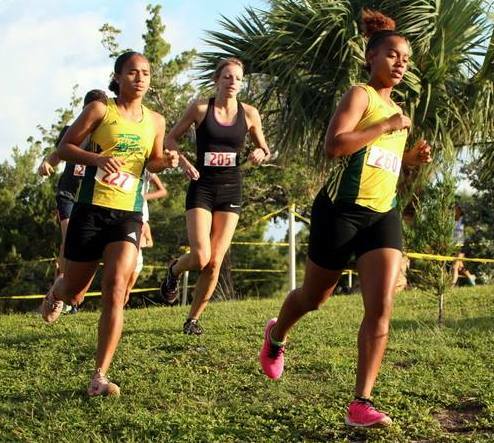 The final Bermuda National Athletics Associations Cross Country Series event took place at the Botanical Gardens. Karen Smith ran to victory in the Women 50-59 Age Group Division that covered 2.89 Miles, Smith was clocked across the line at 23:56.01, Mairi Redmond was second in 29:45.32. Ryan Outerbridge kept up his winning ways in the 14-16 Men’s Age Group clocking 20:30.33, Tommy Marshall was second in 20:34.25 and Khazi Sealey finished third with a time of 20:48.56. The Women’s 40-49 Age Group Run was won by Deanna Didyk who recorded a time of 32:05.64, Meredith Head was second in 32:12.00 and Charmaine Thomas finished third with a time of 34:39.83.